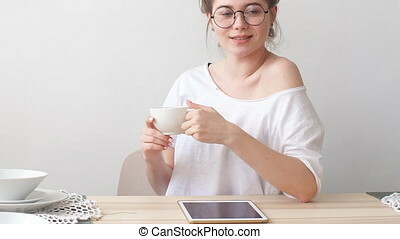 Beautiful brunette woman posing while enjoying a cup of coffee in the kitchen. 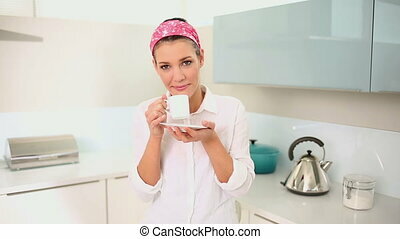 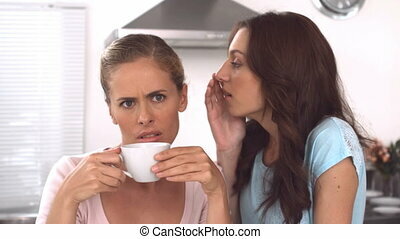 Charming woman with eyes closed enjoying aroma of hot coffee and smiling over modern kitchen background. 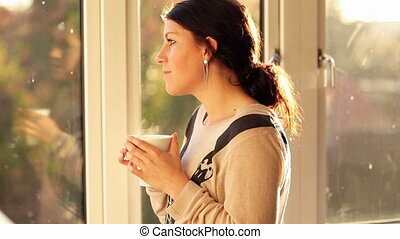 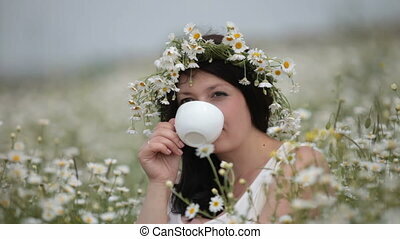 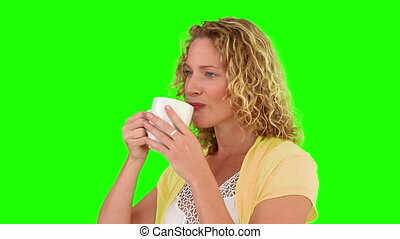 Beautiful young female drinking cup of freshly brewed hot coffee, feeling cheerfulness and joy. 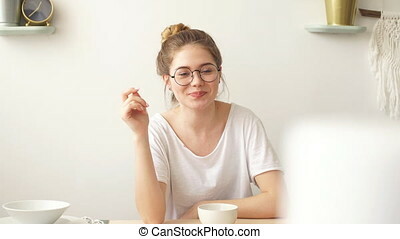 dreaming girl with a cup of tasty tea in the kitchen.